If you have an email address, you’ve received spam mail hundreds or even thousands of times. Compare that unwanted spam message to a curated, personalized email that seems to be written just for you. Yes, it comes from a company, but it reads like someone sat down and addressed you one-on-one. When you receive an email like that, you perk up a little, right? You definitely open the email. You scroll through, maybe even reading, or at least skimming. If the email is especially compelling, you might click the links in the body. You could potentially make a purchase too. This is the goal of every marketer (yourself included) - to get more customers and thus more sales. Once you’ve captured the contact information of your lead, you want to nurture and engage with them. This is done to build trust and strengthen the relationship. Once that relationship is adequately tended to, you could convert leads to buying customers. If you sat down and addressed every lead you had in your email list manually one-by-one, you would never get anything else done. That’s why automated email marketing exists. You can use automated email marketing software to send messages any time and reach different segments of your audience (more on this in Chapter 2). In this guide, we are going to delve into everything you need to know about email marketing automation. By the time you’re done reading, you should know how to segment your audience, write personalized emails, and which tools to use for email automation success. Let’s start with a definition of email marketing automation. When we say “you” send the emails, we mean "your company" sends it, without any manual intervention. You will use the automated software to schedule messages for certain times to specific audience segments. Email automation is different than short-term email campaigns and email newsletters. With short-term email campaigns, you’re only sending out X amount of emails to meet a goal. There’s no need to use automation, since you can see the end of the campaign in sight. With email newsletters, you’re sending these out at a certain time to your entire subscriber base. You won’t have to segment your audience, so again, you won’t need to rely on automation. There are plenty of reasons you should consider using automated email marketing for your business. 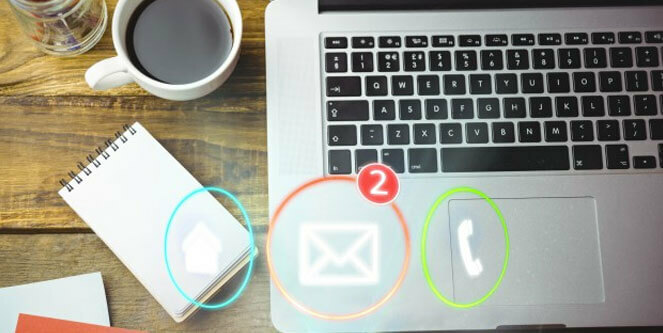 Whether you’re a small startup or an established enterprise, there’s always a useful application for automated email marketing in your campaigns. If you need some convincing, check out these stats from James Scherer at Wishpond, a marketing company. Scherer found these stats from Econsultancy, Gartner Research, the Annuitas Group, and more marketing resources. Within six to nine months, it’s possible to get a revenue boost of 10% with an automated lead management process in place. You can also save money with email marketing automation, especially when it comes to creative production. Some companies cut back on spending by as much as 15% in that area. Nurturing your leads with automated email marketing can also increase revenue. Those leads tend to checkout with “larger purchases” nearly 50% of the time. Lead generation also increases with automated email marketing and other email tools. One company experienced a boost 451% percent in their lead generation process. No, that’s not a typo! Most messages that arrive in a user’s inbox these days are spam (roughly 84% according to the data). To stand out and get seen, email marketing is a necessity. When leads receive a personalized email, their conversion rates go up (as much as 10%) and their click-through rates improve too (by up to 14%). If you write a personalized subject line for your automated email, engagement can also spike, sometimes as much as 22%. 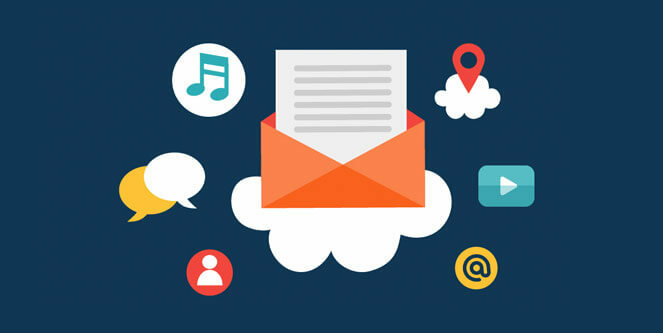 When to use Automated Email Marketing? There are many instances in which you might want to send targeted, automated emails to your leads or customers. Before going into the depth of using email marketing automation, let's first learn when to apply it. When your lead opts in, this is the first email you’re going to send them. It’s acting as a confirmation of their opting in as well as welcoming them into your email list. This email should be short and to the point. Don't make it too long; write just about enough to introduce your site and its content. You can use this email to send the most popular posts or posts that solve a common problem in your lead's lives. Most email tools today also allow sending a double opt-in confirmation mail. If you that set up, your system will first send an email to confirm the lead's email. Welcome email would be, technically, the second email. You might want to end the email with a little freebie or preview of what’s to come, like a preview of the few chapters of an eBook. This is optional, but it helps with engagement and nurturing. If you’re introducing a new product or service, fill in your audience ahead of time with an email. You might preview the product and invite the reader to learn more about it on your website. If there’s a waitlist to get exclusive access to the product/service, include a link to a form so the lead can sign up. You might even throw in a discount code for good measure. Keep your writing crisp and exciting. You want to pique the interest of the lead, so show rather than tell about the product or service. Once your product or service hits shelves and people have used it, you should send a product/service feedback email. This one is rather self-explanatory. You’re simply asking the customer for feedback on the product/service they bought. Make it easy for the customer to leave the feedback. Link them to a reviews page, a short form, or a quiz about the product/service. To incentivize customers to write a review, you might again consider giving them a coupon code or some small freebie. If you have something free to give, tell your audience! This is also true if you’re having a sale or want to make an exclusive offer to a part (or whole) of your customer base. These emails should be exclamatory in style, nudging the lead or customer towards taking the offer without being too sales-y. Almost everyone loves free stuff and sales. For that reason, these emails should perform well without you having to sell too hard. Your sale can only go on for a limited amount of time. Before it ends, you can use automated email marketing to urge reluctant leads/customers to make a purchase. The main idea here is to create a sense of scarcity. Today, the term FOMO (fear of missing out) is popular because no one wants to feel left out of something important. Create a sense of FOMO in your emails and you could encourage even stubborn customers to buy. If you’re hosting an event, let your customers know about it through email. You might encourage them to register or buy a ticket in the body of the message. It’s wise to send out a series of emails about the event: one announcing the event, another closer to the event, and a third right before the event. All this effort is certainly necessary. According to Campaign Monitor, even though you might get a lot of people to register for your event, fewer than half will actually attend it. Promote your event often, and expect a smaller turnout than registration numbers suggest. Automated email marketing is a necessity for today’s marketer. By sending out segmented, personalized, automated messages to your audience about relevant topics, you can keep them engaged. Engaged users are more receptive to your offers and willing to buy your products or services, when you pitch them. 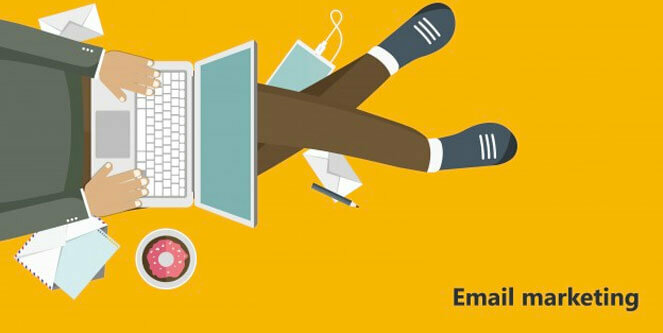 The rest of this guide will go more in depth about every facet of automated email marketing.